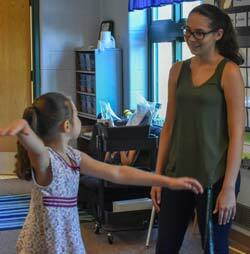 Students at the Early Childhood Center are looking up to four new faces this school year, thanks to a new partnership between Godfrey-Lee Public Schools and Michigan State University’s College of Education. 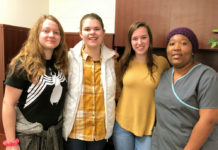 It’s the first time the district has had Spartans interning (commonly called “student teaching”) at one of its schools, and it has been a great fit for the school and the interns, said Pete Geerling, center principal. 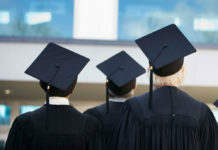 MSU places its education program graduates in schools for an entire year, as opposed to the traditional single-semester internships of most teaching colleges. 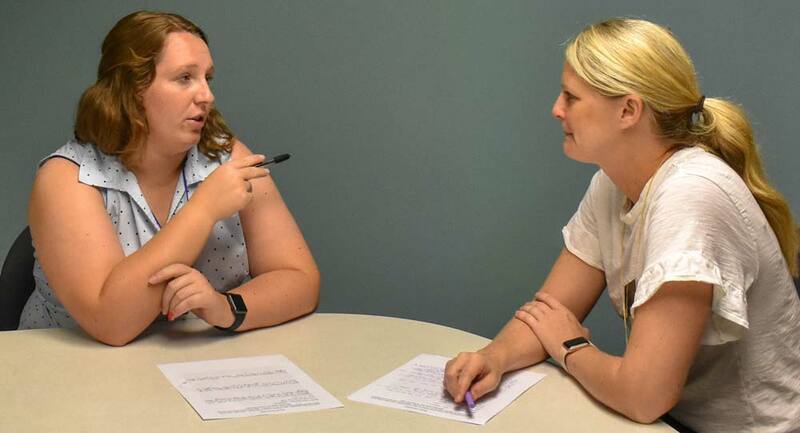 The college of education has about 100 interns, and about a quarter of those are in West Michigan, said Rochelle Hosler, field instructor for the interns at Godfrey-Lee. Other West Michigan districts with MSU interns include Grand Rapids and Kentwood Public Schools districts. Superintendent Kevin Polston, a proud MSU alum, said the partnership has been a veritable “win-win.” Polston’s link to the MSU College of Education goes back about a decade, to his days at Grand Haven Area Public Schools. There, he worked with MSU’s education program to offer mock interviews to interns, as a way to give back to the profession, he said, and also to meet some up-and-coming teachers. 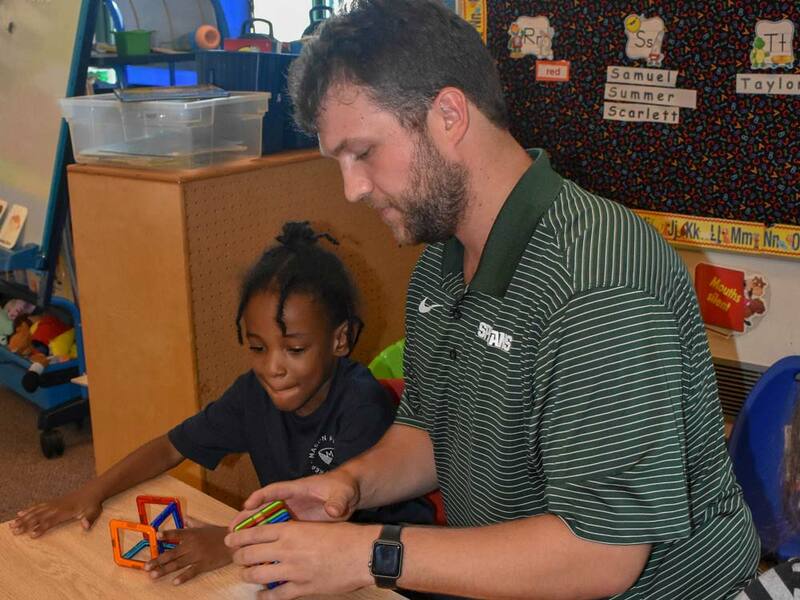 After coming to Godfrey-Lee last year, Polston harnessed that connection to help bring MSU interns to the district. 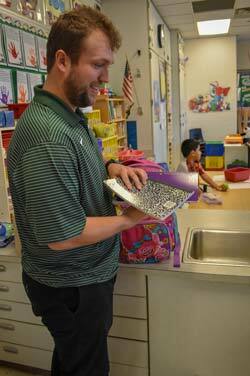 Polston said his district is a great fit for MSU, which aims to prepare future teachers for an urban environment. The program even offers an urban educators cohort, which focuses on challenges unique to urban schools. 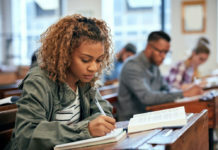 He added that the research is pretty clear: most new teachers come from a fairly narrow demographic that has more women and is overwhelmingly white. Recruiting a diverse talent pool is important, he said, and so is equipping the current talent pool to work with students of different racial and economic backgrounds than what they’re familiar with. 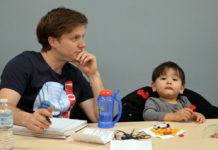 Hosler said that certain factors, such as a high percentage of students in the free and reduced lunch program, made Godfrey-Lee a great fit for the interns. Moreover, she thought the school was outstanding. 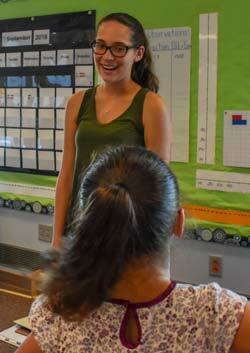 “When we toured the school in the spring I was really impressed with the building, the teachers and the things that they’re doing here,” she said. 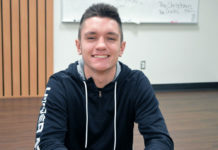 Polston said that at a time when demand for teachers is high, connections with teaching colleges are important ones to have. Hosler concurred, as she’s seen the number of students going into education decline during her time at MSU. Katelyn Kouchoukos moved to Grand Rapids from her home in the suburbs of Chicago for her internship at Godfrey-Lee’s ECC. Both she and Browning are unsure of their next step after completing the internship. They’ll attend job fairs, apply for jobs and see where they can go. “I could see myself in Michigan, but I might go home,” said Kouchoukos. 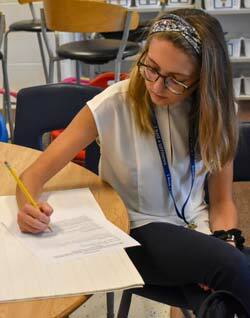 Whatever path they take, they say they’re gaining valuable experience for whatever they may face as teachers. And, said Polston, the ECC reaps the benefit of another caring adult in classrooms.